March 27th 2018 - Thirty teams came out to Fort Lauderdale Country Club - South Course to compete in the 2018 Fort Lauderdale Country Club SFPGA Foundation Pro-Am. Low scores were the theme of the day in the two man better ball format. The low pro division crowned co-champions as Colin Amaral, PGA Teaching Professional at The Country Club of Mirasol and Justin Bertsch, PGA Head Professional of The Hideout Golf Club both fired 5-under par rounds of 67. 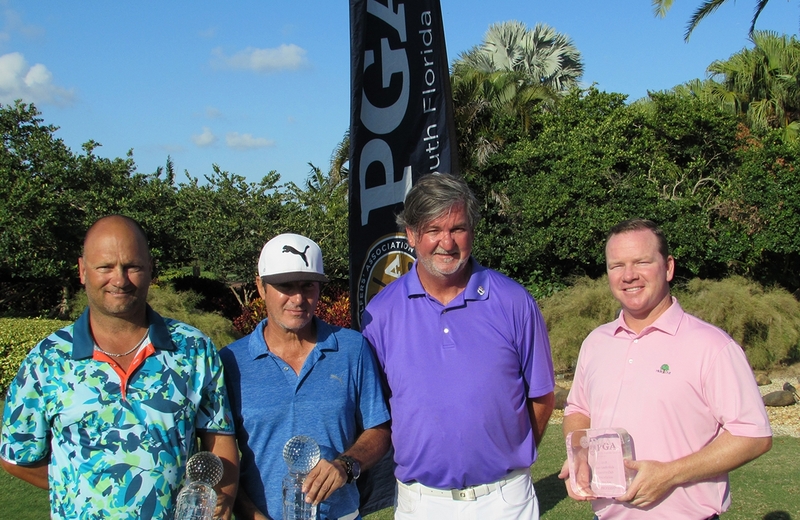 The team of Jan Urso, PGA Assistant Professional of Inverrary Country Club and amateur Darryl Whitford captured the team net championship with a 10-under par score of 62. A big thank you goes out to all those who came out to support the SFPGA Foundation and to Fort Lauderdale Country Club for graciously hosting this event for the fourth year in a row! To view complete event results, click here.